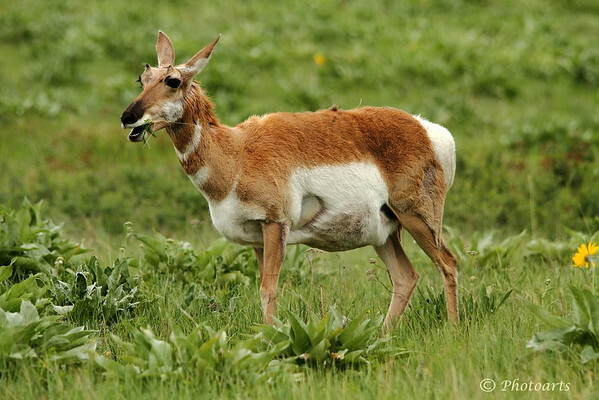 This Pronghorn Antelope was captured munching in National Bison Range, Montana. Terrific capture of this speedy antelope! Very nice capture. The light is great!